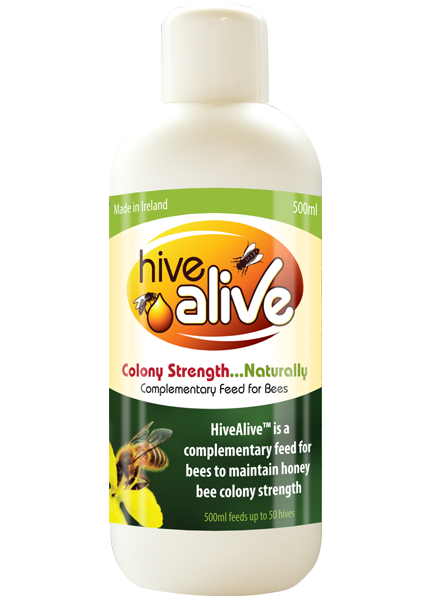 HiveAlive™ is the only nutritional supplement for bees on the market that is 100% compliant with EU animal feed regulations and is FDA compliant. All HiveAlive product claims are EU validated and approved, and we are therefore in a unique position to guarantee superior quality product, full traceability and the highest standards of manufacturing to beekeepers. All ingredients are validated as safe for animal feed and are continuously monitored to ensure peace of mind for the beekeeper. HiveAlive's combination of ingredients is the result of 6 years of internationally validated research by Advance Science on bio-active, natural ingredients specifically designed for the needs of the beekeeping industry. These ingredients target the specific requirements of the colony with a particular emphasis on gut health. Colonies will increase in strength and vigour, having consumed syrup activated with HiveAlive™ and as a result will be better able to cope with diseases and other stressors. Online sales only available in the EU. Click here to find out where to buy HiveAlive near you. Returns: You have 30 calendar days to return an item from the date you received it. To be eligible for a return, your item must be unused and in the same condition that you received it. Your item must be in the original packaging. Your item needs to have the receipt or proof of purchase. Shipping: You will be responsible for paying for your own shipping costs for returning your item. Shipping costs are nonrefundable. If you have any questions on how to return your item to us, contact us.